Brother’s TN-730 toner cartridge is a great monochrome printing solution for home offices and small businesses. 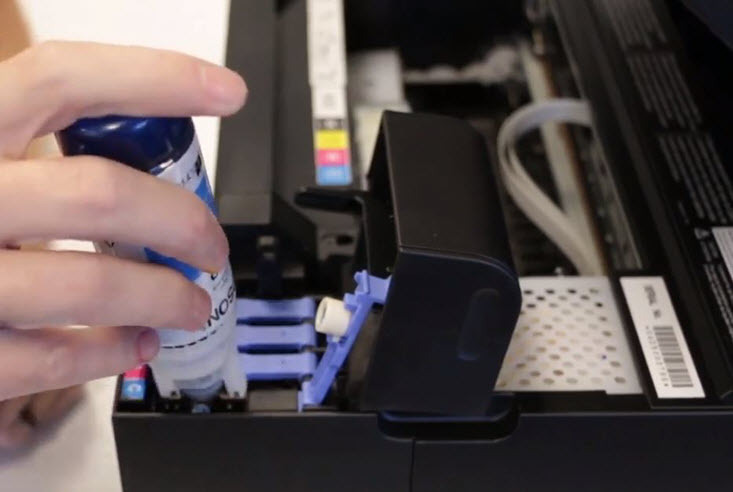 In this guide, we break down the cartridge specs, show you how to check the toner levels on your machine, and most importantly, walk you through the installation process. 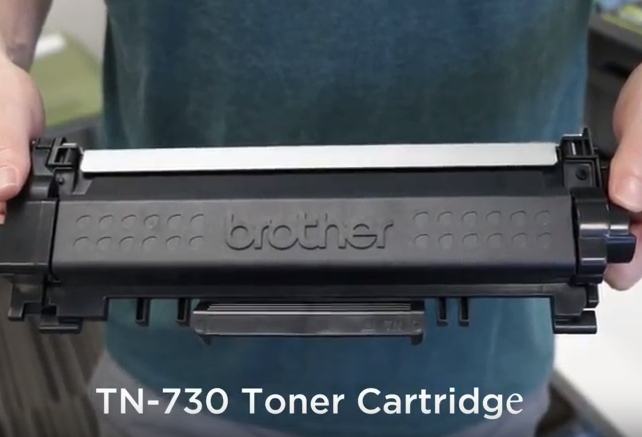 Check out our quick Brother® TN-730 cartridge installation video directly below. Or, continue reading to learn more about the TN-730 cartridge series and it’s compatible printers! 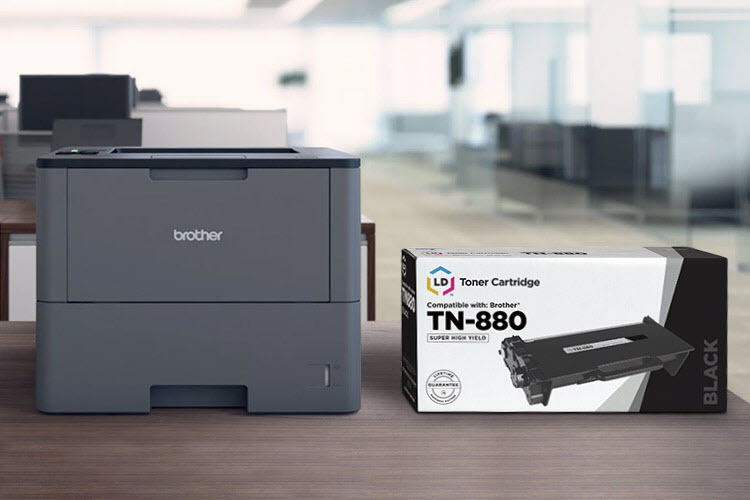 The Brother TN-730 is a standard yield cartridge and prints approximately 1,200 pages. The TN-760 cartridge is the high yield version of the TN-730, printing 3,000 pages and offering a better overall value if you print frequently. Both cartridge types are suitable for any of the printers we list below on our compatible printers list. 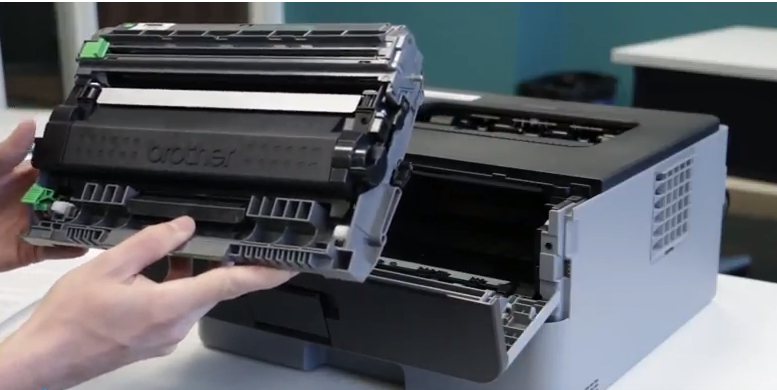 They are the exact same size and the installation process is identical, the only difference between the two is the amount of toner that is included inside each cartridge. Another important printer part to note here is the DR-730 drum unit. The toner cartridge and drum unit work together to produce a print and both need to be installed in your printer in order for it to work. 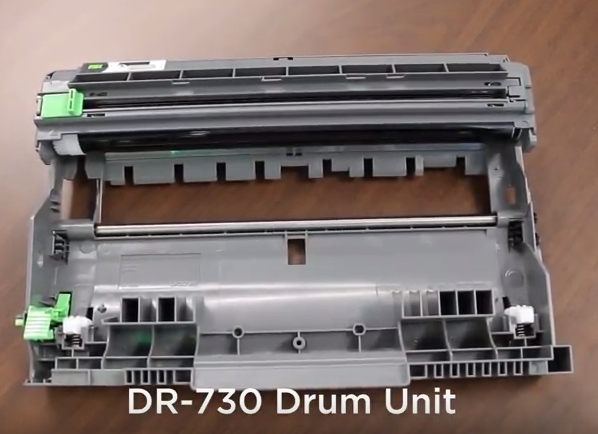 The drum unit does not need to be replaced as often as the toner cartridge. Good for approximately 12,000 prints, you generally need to replace the drum after the use of 3-4 toner cartridges, but your printer will let you know when it’s time to replace with a message on the display screen. If you are looking to save on printing costs, consider purchasing the LD brand compatible versions of the TN-730, TN-760– and DR-730. A great, low cost alternative to the original Brother brand, they offer the same number of prints for a fraction of the cost. Check out our compatible installation video below! The following steps for checking your toner cartridge levels are specific to the Brother HL-L2350DW laser printer. 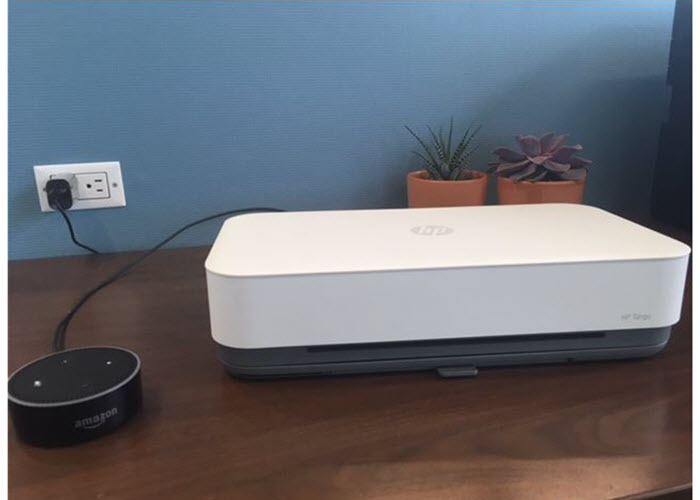 These steps may be different if you own another Brother laser printer, so be sure to consult your printer manual before proceeding. If you didn’t catch our installation video at the top of the page, here are the installation steps again, for easy reference. Slide both parts back into the printer, close up the front cover and you’re ready to start printing! We hope you’ve found this installation guide useful! If you have any questions about installing Brother TN730 toner cartridges, leave us a note in the comments. Good luck! Try cleaning the corona wire, the small green tab that is a part of the drum unit. Slide this back and forth a few times and return the tab to it’s original position, then reinstall. Sometimes the corona wire can get dirty and cause a faulty connection in the printer. The page yield for the TN-730 is 1,200 pages and the yield for the TN-760 is 3,000 pages. However, page yield for a toner cartridge is calculated at 5% page coverage, or pages in which 5% of the page is covered with ink. 5% of the page is about the same as printing out a short paragraph or email. So when a cartridge says it prints 1,200 pages it really means it can print 1,200 short emails. If you are printing something more complex, the number of prints you are going to get from a cartridge is going to be much less. You can learn more about how page yield works here: https://www.ldproducts.com/blog/what-is-page-yield/. 200 pages does seem a bit on the low side, but if your prints use a lot of toner, it could make sense. Try putting in the old cartridge to see if it detects that one. Then gently wipe the contacts on your new TN730 cartridge clean (the contacts are under the toner). Make sure the protective film has been removed on the new TN730. Remove the old cartridge and replace with the new one to see if it gets detected this time. I have a Brother HL L2370 DW printer. How many pages will I get with the starter toner?